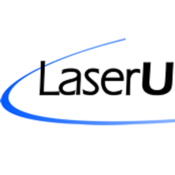 LaserUniversity is the leading source in laser education. 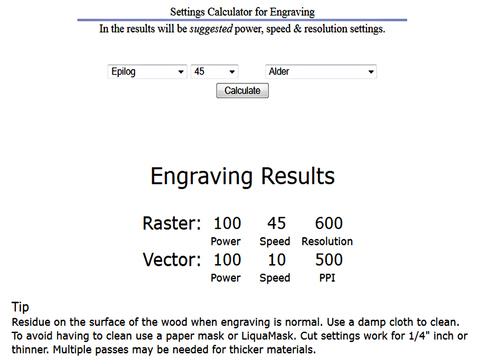 Our settings calculator will help you get the correct settings for engraving and cutting a multitude of substrates. 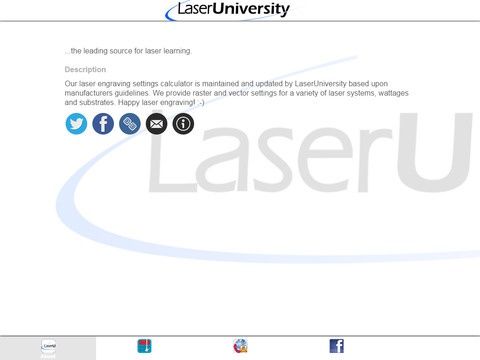 Enter in the brand of laser, the wattage and the substrate and you will receive the settings. 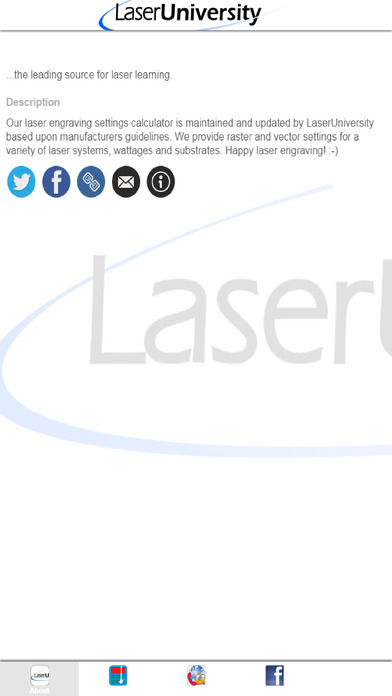 In addition, we have consolidated access to our Facebook, Twitter and YouTube accounts.